This is the cover for my new chemistry course. If you are a regular reader of this blog, you may have noticed that the frequency with which I add new articles has decreased significantly. There’s a reason for that. I am in the midst of writing a new high school chemistry course, and the deadline is rather unforgiving. As a result, I haven’t had much free time to dedicate to this blog. Why am I writing a new high school chemistry course under an unforgiving deadline? Well, the publisher of my old chemistry course just released a new edition, and in my opinion, it is no longer a good source from which to learn chemistry. I wrote a detailed review of the many problems with the course, in case you want to know more. 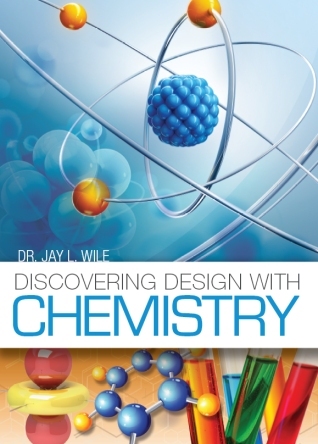 Because the publisher will no longer sell the old edition, I think there is now a serious need for an academically-sound, college-preparatory high school chemistry course designed for the home school, and I think it needs to be available for the coming academic year. I wanted to use this blog post to give you an update on the course. I am just over three-fourths of the way done with my rough draft, and my reviewers are keeping pace with me. As a result, I currently see no problem with meeting the deadline. This means that, barring some unforseen circumstances, the course will be available on August 17th of this year. 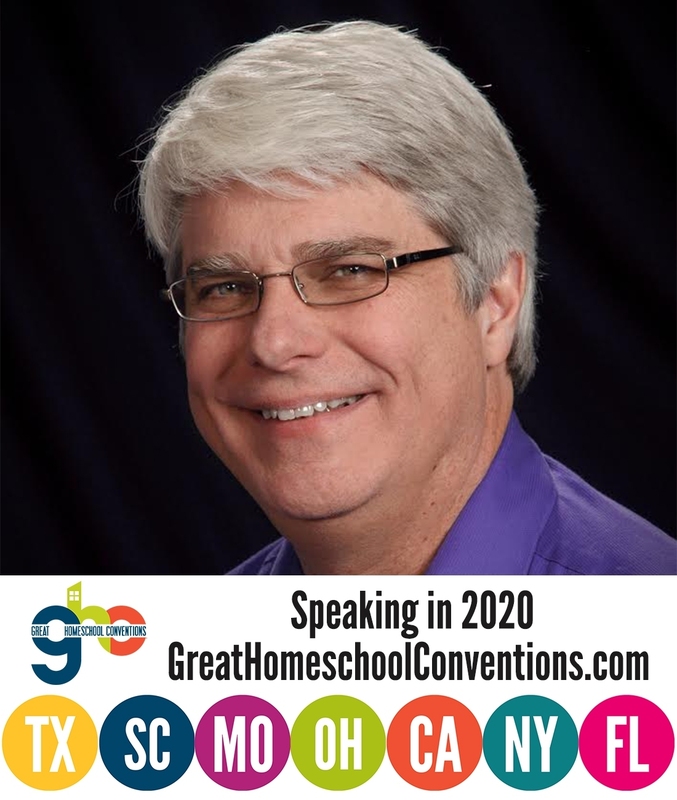 Thus, if you are looking for a homeschool-friendly, college-preparatory chemistry course for this coming year, you can consider using my new course. To get an idea of the course content, look at the table of contents as it exists so far. You will see that after a necessary discussion of measurement, units, and significant figures, I introduce students to the classification of matter. Then, I discuss atoms and molecules, so students learn how matter is constructed. This leads to a discussion of molecular geometry as well as the distinction between chemical and physical change. After a brief discussion of physical change, most of the rest of the course concentrates on chemical change. The students learn about several different types of chemical reactions (formation, decomposition, single and double displacement, combustion, acid/base, and reduction/oxidation), and along the way, they learn one of the most important concepts in all of high school chemistry: stoichiometry. In case you don’t know that term, it is the process by which you can calculate the quantities of substances in a chemical reaction. In addition to all that, the students learn about solutions, gases, heat and its effect on matter, the energy associated with chemical reactions, the speed of chemical reactions, and chemical equilibrium. While the topics covered in this course can be found in pretty much any college-preparatory high school chemistry course, there are three things that separate this course from the other ones that are currently available. First, the course is designed for the home school. I don’t assume there is a teacher present, so I really do explain everything the student needs to understand in order to grasp the material. I write in my typical “talking to you” style, which makes the explanations easier to understand. Anything the students are asked to do has a detailed, worked-out solution. That way, students can learn from their mistakes. In addition, there is a free question/answer service that comes with the course. If students get stuck on a problem or concept, they can simply log onto a website and ask me their question. They can also browse through a list of previously-answered questions. Finally, there will be a content-rich course website that has links to videos that further explain the concepts of the course, gives lots of extra problems if the students need more practice, and links to websites that contain even more information about what the student is studying. Second, the experiments are designed to be done at home, but they are solid, college-preparatory experiments that illustrate the concepts of the course. One of the reasons the experiments are so good in this new course is the availability of an inexpensive mass scale that is accurate to 0.1 grams. These weren’t available (at least not as inexpensively as they are now) back when I wrote my previous chemistry courses, so it was difficult to do any experiment that required a precise determination of mass. Now that such scales are available, a whole new realm of chemistry experiments can be done at home. For example, there are certain chemicals called “hydrates,” which incorporate water molecules into their structure. In this course, students will be able to measure how many water molecules are incorporated into a hydrate. Students will be able to measure the amount of sodium bicarbonate (baking soda) that exists in an Alka-Seltzer tablet. They will be able to do a percent yield experiment that allows them to see how stoichiometry actually works in the real world. They will be able to see how the number of ions in an ionic compound affects the freezing point of a solution, and they will be able to calculate the concentration of the hydrogen peroxide solution they buy at the supermarket or drug store. In addition, there are several other experiments that do not involve a mass scale but communicate chemical concepts in a powerful way. Students will use a microwave oven to measure the wavelength of microwaves, and they will burn chemicals to see the different colors emitted. They will use a feather to explore the wave nature of light, and they will burn iron to see that even metals can undergo combustion. They will burn methanol solution to see the importance that concentration plays in chemical reactions, and they will use ice to boil water so they can understand the true definition of a liquid’s boiling point. To understand batteries, they will build their own Galvanic cell (the basis of a battery), and they will electroplate copper onto the silvery surface of a battery. Of course, doing experiments like these requires a kit, and the expected price for that kit is $70. Aside from very inexpensive items that are easily found at the supermarket or drug store (like distilled water and hydrogen peroxide), the kit will contain everything the students need to do the experiments. Since the course itself, which includes the textbook, the tests, and the answer key, is only $65, this means you can have a solid, college-preparatory high school chemistry course for only $135. If that price is simply out of your reach, you can do many of the experiments without a kit at all. The course website will have a document that tells you which experiments can be done without the kit and what household items can be used to complete those experiments. In my course, this kind of content flows naturally from the chemistry that is being discussed, so the students see that there is nothing strained about the relationship between science and Christianity. I hope this update has been helpful. I plan to write at least one more update when I have met my deadline. That way, you can have even more assurance that the course will be available by August 17th. If you want more frequent updates, you can sign up for them at my publisher’s website. You can also look at the first two chapters of the course (here and here). I’m using this next year to teach my RWT classes. I have seen the first seven chapters. It is an excellent study for anyone. I can honestly say that it is better than the original in many ways and certainly better than anything Apologia currently has available. So – this begs the question – if I own your first edition, have had 3 students go through it, but have 5 students left – is your new edition still far above your first edition and why? Stacey, it really depends on your finances and how important the experiments are for you. The chemistry covered in high school hasn’t changed since the previous edition was published, so there isn’t any “new” science. However, the experiments are a vast improvement, because of the mass scale. Sounds fantastic, Dr. Wile. My two boys who took your original chemistry and then a community college chemistry both said that your course was far superior. Is there a preferred grade level for this, or more specifically a math level that should be completed before this course is taken? I’m considering of my will – be freshman, so I want to make sure she’s ready for it. You have it right, Jennifer. It’s a math issue. The student should have completed Algebra 1 before starting the chemistry course. I am in the UK & recently managed to source a secondhand copy of your original chemistry course as I read about your reservations of the update. Should I invest in your new course or is the original still up to date enough? The chemistry covered in high school hasn’t changed since the previous edition was published, so there isn’t any “new” science. The experiments are new, but I don’t think you will be able to get a kit in the UK right away. Thus, you are probably better off with the older edition. Which scale are you recommending and what is the maximum capacity of the scale? It’s the MS-600. The maximum capacity is 600g. Thank you for the reply Dr Wile. Do they make 0.1 gram weights for calibration that are inexpensive? When I looked on line I saw mostly 1 gram or higher calibration weight sets. I don’t know of any 0.1 gram weights that are inexpensive, Bill. The mass scale comes calibrated, and based on all the tests I ran (using density of water and volume), it is accurate. It was interesting that you mentioned water for calibration Dr Wile. I have used 0.3cc insulin syringes in the past to check scale calibration. They give a pretty accurate calibration down to about 50mg which would be 0.05cc or ml. The only problem I have had when using small volumes of water is that it evaporates rapidly so I have to get a quick reading. That is why I asked about smaller calibrated weights. Maybe students or their parents could use 1.0cc tuberculin syringes, which can be ordered without needles, to check scale calibration if it is needed. Each 0.1cc mark on the syringe would have a water weight of 0.1 gram. Dr. Wile, you are a Rock Star! I just finished teaching my kids with your Advanced Chemistry text. We have done Physics, Chemistry, Biology, Physical Science and General Science and I love them all! I would frequently exclaim to them how fortunate they were to get to learn science with the Christian truth woven seamlessly into the science story. Your explanations, experiments, and practice problems made it all come together in a meaningful way. They are off to college now where they will no doubt succeed in science with the excellent preparation you made possible. THANK YOU!!! I am glad you are writing a new Chemistry book so the next generation of budding scientists can get a solid foundation under them. Thank you so much for your kind words! I am glad that my courses have worked so well for your family! I see the electrons on the cover are the correct color (yellow)… but aren’t protons red and neutrons white? I forget – how do you introduce and explain Avogadro’s number in your textbooks? Because I remember being confused about this when I learned it: I didn’t understand the scientific reason Avogadro’s number has the value it does, and it seemed like magic. I understood it had to do with counting nucleons, but I didn’t get it completely. The nagging feeling that I was missing something stayed with me through undergrad – I realized that the number couldn’t be fundamental like the fine-structure constant, but we used it all the time to indicate the thermodynamic limit of systems. Embarrassingly, I didn’t realize until last fall that Avogadro’s number is basically just one over the mass of the proton in grams (I know it’s actually defined off of carbon-12, but you understand what I’m saying). Do you talk about this in your book – and did I just not understand when I read it? Or do you not bring it up? I can see why you might not want to discuss it, because you’d have to talk about the arbitrariness of the gram (and unit systems in general), and that might confuse people. It’s interesting that you should mention Avogadro’s number, Jake. I was never happy about how I introduced that in my chemistry book. I basically just told students that when they have the atomic mass of a sample in grams, they have 6.02×1023 of those atoms. So it’s not surprising that it seemed like magic to you. I just pulled it out of the air. That’s because explaining how Jean Baptiste Perrin figured it out is really complicated, so it is really hard to explain to students who have never studied chemistry. In case you weren’t aware, it wasn’t Avogadro who figured the number out. His work led Perrin to figure it out, and Perrin suggested it should be named after Avogadro, because without Avogadro’s work, he would have never come up with the number. This isn’t a coincidence. If you have a sample of any element, and the mass of that sample in grams is the same number as the atomic mass in amu, you will have 6.02×1023 atoms in the sample. This, of course, isn’t how Perrin figured it out. He used Brownian motion to determine the Boltzmann constant, which leads to Avogadro’s number. However, it at least gives students a tangible way to think about it. Glad to know you can now reach this site from your university. I think Jake is one of my former “students” – I will be getting your new Chemistry book for my youngest son this fall – I’m sure my oldest son will also give it a look-over. I find it interesting what the boys remember, even years later, about your texts. You should be proud of your “student” Kathy!